Turkey’s economy has been wavering on the brink of a full-blown depression for quite some time, with many companies going under, trampled under the colossal weight of a mostly credit-free market. 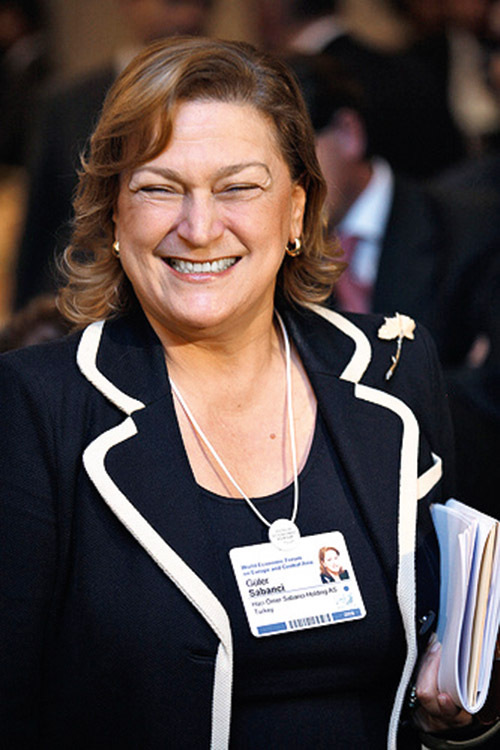 Guler Sabanci, however, has taken huge gambles, performing potentially devastating investments in order to survive. And the decisions have been the right ones. The chairman and managing director of Sabanci Holdings has completely fought against the grain and pushed her company into huge profits. Her primary interests lie in energy and retail. Sabanci also lectures at MIT, and is a member of the European Round Table of Industrialists.